CyclingPub.com spoke with the Dutch legend at the team's training camp in Denia, Spain. At the time of the interview, Vos was already leading the Cyclocross World Cup standings. 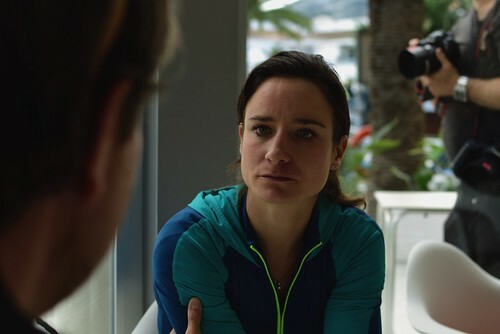 In this interview, Vos discussed the combination of different cycling disciplines, her current shape and the next steps in women's cycling. The preparation for the road cycling season is well under way, but now you're also leading the Cyclocross rankings. At the start of the season it wasn't really an objective. It was a goal to be good in the races, but now I'm unexpectedly leading so I do want to do what I can to defend it. The goal was definitely to get results in the races. Is it difficult for you to focus both on Cyclocross and the upcoming road season? No, it's very easy to combine it. I do think it's important to have a good preparation for the road season. This is also why I take a break and don't ride all the Cyclocross races, so I'll have the right foundation for the road. That way I think it's doable to combine it. It's about the balance in the schedule with training and races. So the emphasis isn't on riding all races but on having specific goals. Throughout your career, it has always been very important to combine things with no less than four different disciplines. That's true. But when I did a bit more track I did focus a little less on Cyclocross. I did learn that if you want to do something well, you do really have to focus on that discipline. Throughout the years this got more important for me. Could it also happen that you change disciplines again, also looking at the 2020 Olympics? That's very possible. For this season I decided to do more Cyclocross from the beginning but it's possible that I will change this for 2020. Not so much on the track but maybe a bit less Cyclocross so I can prepare for the road. But I'm not sure about that yet. In 2018, the second half of the season was better after two slightly more difficult years. Were you ever worried that you wouldn't return to your old level? Yes, although I always had the feeling that it was still there. I knew it couldn't have just disappeared, or else I would not have kept going. I really love cycling. If I had thought that I wouldn't be able to ride at the top level anymore, I would just have gone and do something for myself. I definitely had the feeling that there was space for improvement. I did keep improving but it was two steps forwards and one step back. And with that one step you do start doubting. But I always stayed positive and got to see light at the end of the tunnel. In 2017 I also had good results but those were generally exceptions. In 2018, the second half of the season I could really feel that I was getting stronger and knew that if I could take that next step, I would really compete for the top spots. For me it wasn't really about having to win in certain races but about being able to stay at that level and be an added value to the team in races. That was the most important thing for me. Ashleigh Moolman Pasio joined the team this season. Does that change something for you? It's great to have such a good rider with us. As a team you have more cards to play and you can support each other in the finales. I also expect things from other riders, such as Riejanne Markus and Jeanne Korevaar. They're about to break through and could take that step. With the arrival of Ashleigh they will also get more chances. So I'm looking forward to it. You mentioned Jeanne. She could be a big card to play? Yes, we've seen her grow every year and she's ready for this step. We shouldn't expect her to get one win after the other but I do think she has the class and level to compete at the top. I'm looking forward to see her shine. What is your main goal for this season, as far as the road is concerned? I want to be consistent and compete at a high level. Apart from that, the championships are races where I really want to be good. Those are the goals I'm working towards. Did you study the World Championships route in Yorkshire? Yes I have. I didn't go there yet but we will. We will explore the route of the road race with the national team. I don't think I will have to spend weeks there to get to know the route. It should suit me. You've been around for a while. How did you experience the development of women's cycling? Yes, my 14th season apparently! Everybody sees the small steps and then it seems slow. But if you look at 14 years, which isn't even that long, it's been a big step. Women's cycling has developed a lot. I think it's good that the steps aren't bigger than what we can handle, because that could really hurt the sport. Sometimes things do go fast and now with the development of the WorldTour I think it's a great step to become even more professional. This will be implemented slowly, over three years. You do notice that there's a big desire to make that next step. We seem to have reached a ceiling in the current set-up. Some of the teams are ready to move forward. For the fans, to be able to follow races at the highest level, I'm sure that we can make that step. It's great to see that 14 years ago there were some riders who were able to do this full-time but also many that had to have jobs on the side. Now there are even some that are able to study while they ride. I think that's important. There are a lot of possibilities to be a professional in this sport at the top level for a number of years. It's clear that the level has gone up a lot and that the standard in teams has improved. We shouldn't want to copy the men but women's cycling has a lot of potential. It's not being taken full advantage of yet. If the platform could be stronger, allowing people to really identify with teams and riders, it's easy for the fans to get integrated. There is space there and I hope that we will be able to use this to our advantage in the next years. 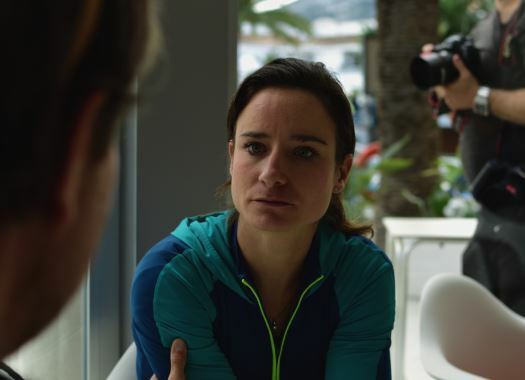 Do you think people compare women's cycling to men's cycling too much? Yes. I do think it makes sense as there are great opportunities, like for us to work with the men's CCC team. This means that the structure is solid and allows us to grow. Races that are combined with the men are well respected too. But on the other hand you do have to see the potential of women's cycling separately and not see it as a side event. There is a balance that is at times difficult to find. When to take advantage of the structures in men's cycling and when to show your character and your authentic value rather than copying. Why do you think the level has remained so high all this time in the Netherlands, while for other countries it has taken longer? It's not the case that as Dutch riders we have always been so much stronger than the rest. In the last few years we did grow and are dealing with a particularly strong generation, of which the riders also pull each other up to a higher level. But when I joined the elite peloton, Italy and Germany were really strong. In the last few years Australia is becoming very strong. So it's not that we've always been a dominant force. I try to make people aware of this, that this will not go on forever. We have to work really hard to keep developing, to give young riders a chance. It does help to have good teams, and also club teams in the Netherlands that stimulate growth. Having top riders allows everybody to grow. You have to. You wouldn't even get selected for the World Championships if you aren't riding at the top level. For young people it's great to have big riders to look up to. Without those, you don't have an example. The structure is there, and hopefully we will keep this level in the next years. But it is important that the competition grows along as it can be demotivating if the Netherlands are particularly dominant. I do see growth in these other countries. They have no choice either so the level is improving. I think it's heading the right way. Do you think that the media and the fans may take it for granted that the Dutch are always this good? Yes. I do think we can all handle the pressure, but it can be difficult when people consider it a given that we do well. Because it isn't. The fact that we did so well in Innsbruck at the World Championships, is very special. It's extraordinary how these individuals worked together as a team. People may expect us to win. In the end we did have five or six riders in the top ten, which is bizarre and has to be seen as such. It's a shame if the value is lost as people have high expectations. Maybe it's good if you don't win every time, so people are aware that you may be the best, but that winning is never a given.